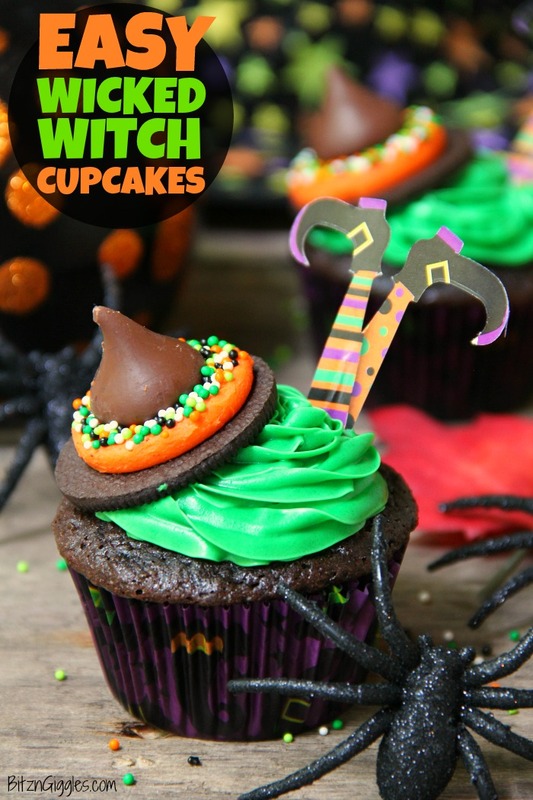 Easy Wicked Witch Cupcakes – These Halloween witch cupcakes are so easy to create. 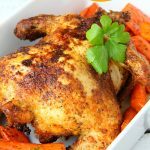 They look so professional yet they go together quickly with a few simple hacks! With September behind us, here at the house we’re gearing up for Halloween. I know I’ve mentioned it before here on the blog, but for those who are a bit newer, I thought it would be fun to share that all of our family members have fall birthdays. Josh (my husband) and Cora (our daughter) had their birthdays last month and me, Dane (our son) and Belle (our golden retriever) celebrate our birthdays in October. With that being said, we go through A LOT of cake and cupcakes in the months of September and October with all of the parties we throw. 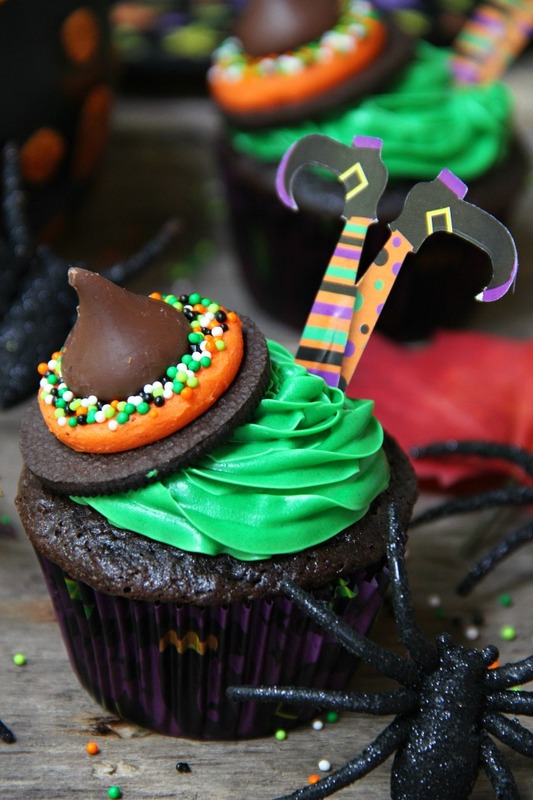 So, I thought it was only fitting to share a recipe for some fun Halloween cupcakes today. 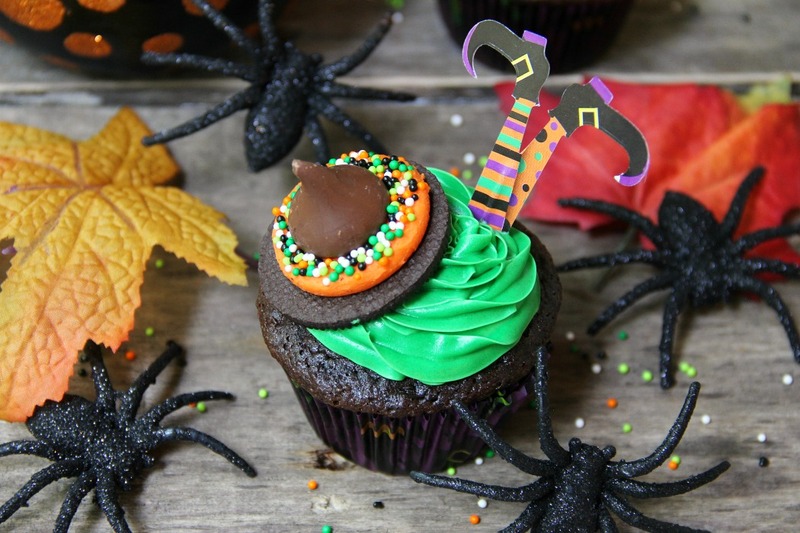 These Wicked Witch Cupcakes are so simple to make – ANYONE can do this! 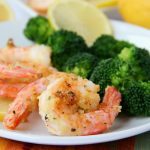 You may have seen different versions of these around the Web, but I promise you, these are the most fool-proof! The most difficult part of the recipe is making the cupcakes from the boxed mix. 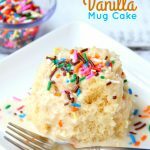 Have you ever made cupcakes out of a box mix? Yes? Then, you have this in the bag. If you’re REALLY pressed on time you could even just purchase some plain, undecorated chocolate cupcakes from your local bakery. Even easier. 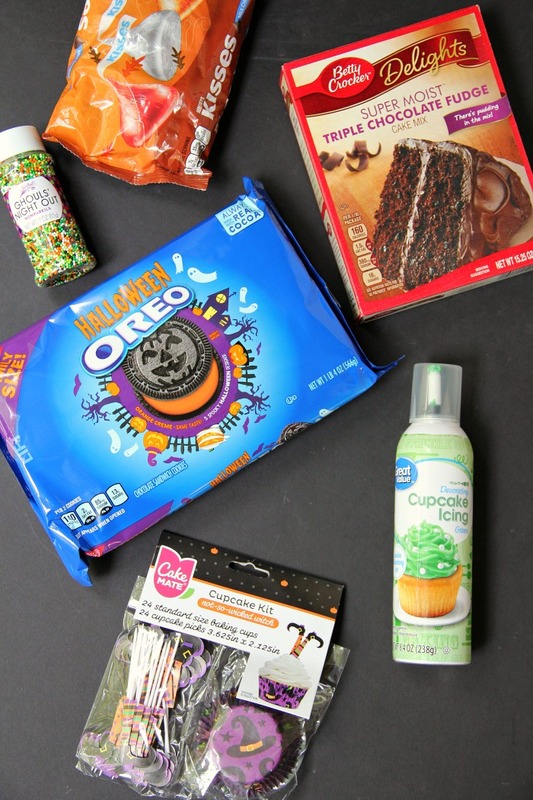 After you bake your cupcakes and allow them to cool in the Halloween cupcake wrappers, go ahead and grab one of the Halloween Oreos. Begin by halving the Oreo. You’re going to use the half with the frosting on it. What do you do with the other half? Eat it. ?Then, lightly press an unwrapped Hershey’s Kiss into center of the top of the frosting on the Oreo. Sprinkle some of the nonpareils around the outer edge of the cookie frosting and lightly press them into the frosting. Frost your cupcake with the green frosting (test your tips out on a paper towel and use the one you like the best! 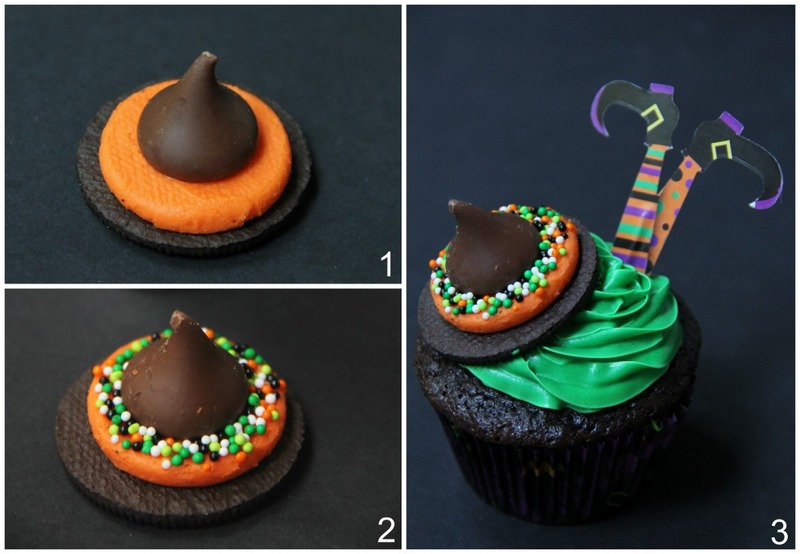 ), place the candy witch hat on one side of the frosted cupcake and stick the witch legs in the other side. There’s no mixing of frosting, there’s no messing around with fondant – it is literally is so simple. 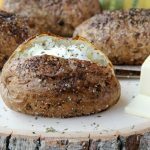 Your kids can help you make these!! Get them working on the hats while you make the cupcakes. I mean, how cute is this? And it’s SO easy. These cupcakes would make a great classroom activity for you teachers out there or just a fun weekend activity for the kiddos at home. 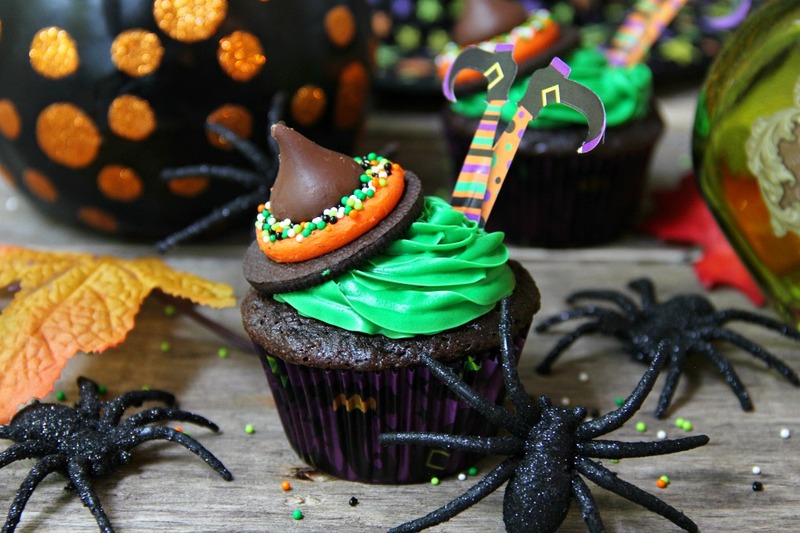 If you’re having a Halloween party, fill a table with the witch cupcakes and place some spiders, pumpkins and faux leaves around them. You can create quite a festive tablescape with these deliciously spooky treats! Have fun making these cupcake, friends and check back next week for another fun and easy Halloween treat! 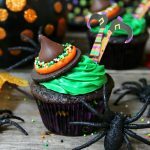 These Halloween witch cupcakes are so easy to create. They look so professional yet they go together quickly with a few simple hacks! Prepare the cupcakes as directed on box. Separate one of the Oreos. Keep the half with the frosting. Eat the other half. ? Lightly press an unwrapped Hershey’s Kiss into center of the top of the frosting on the Oreo. 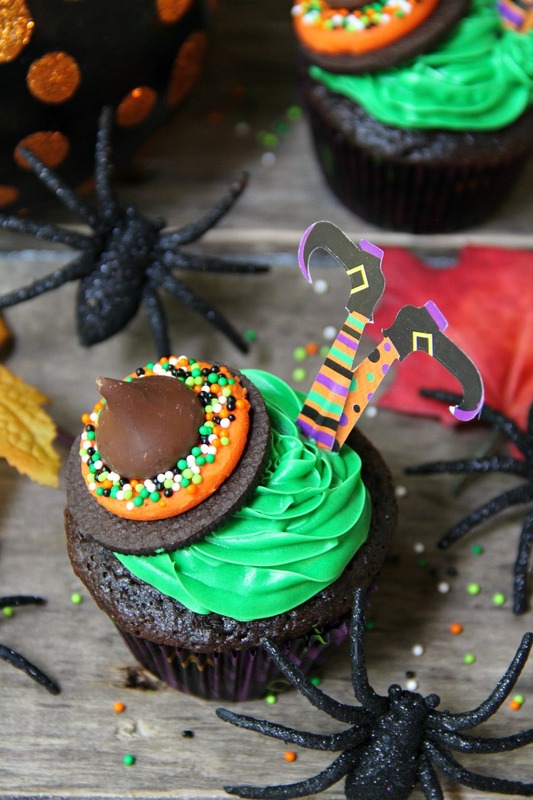 Place the candy witch hat on one side of the frosted cupcake and stick the witch legs in the other side.